Canada’s rising punk export Like Pacific will make their triumphant return in 2016 with their breakout album “Distant Like You Asked” due out on February 19th via Pure Noise Records. 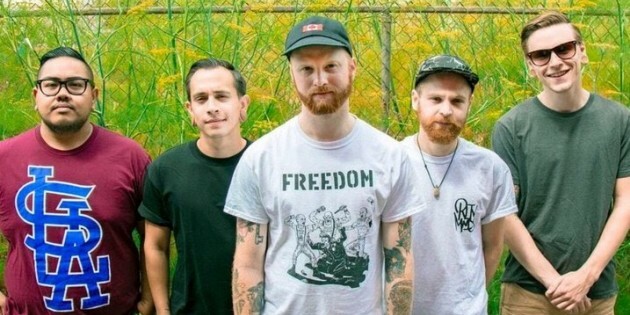 The band has revealed the first single called “Worthless Case”. Produced and engineered by Sam Guaiana at Room 21 Sound in Toronto, “Distant Like You Asked” is a valiant effort and the end result of years of writing and development. Following several EP releases, Like Pacific has emerged with their boldest release yet. “This record is like a culmination of all our previous releases” says Chris Thaung “Sam really pushed us to our limits and because of that, he really brought out the best of us in this record. We’ve definitely grown a lot and I think Distant Like You Asked is a perfect way of showcasing where we are currently (and where we’d like to go) as a band”. Like Pacific’s maturity is clearly felt on the band’s first new song “Worthless Case”, which emphatically demonstrates their strength as songwriters, lyrical depth and undeniable catchiness. “I wrote this song about how I put genuine time and effort into getting to know someone, and after 3 months of being ‘just friends’, I felt worthless and wondered how many times they had done this before” adds singer Jordan Black.